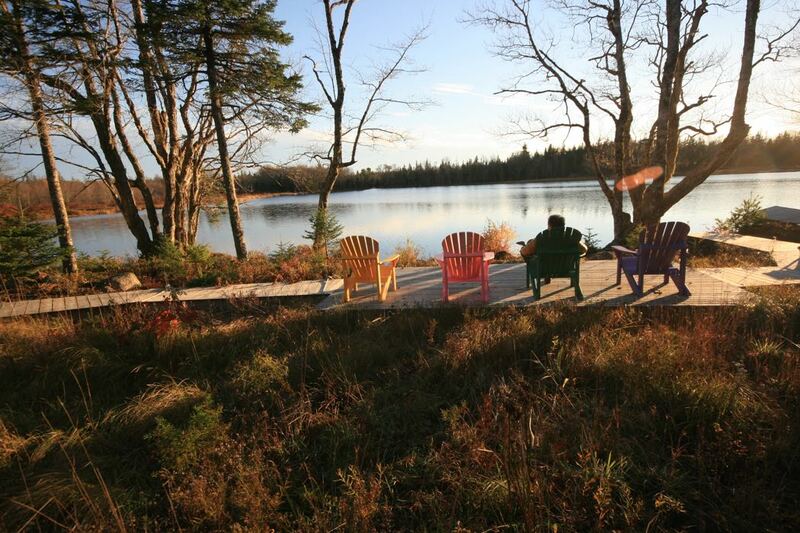 Trout Point Lodge is a wilderness retreat in Nova Scotia at the heart of the UNESCO SW Nova Scotia Biosphere Reserve and a picturesque 45 minute drive from Yarmouth Harbour, where you find the international ferry from Maine, USA & Yarmouth International Airport. 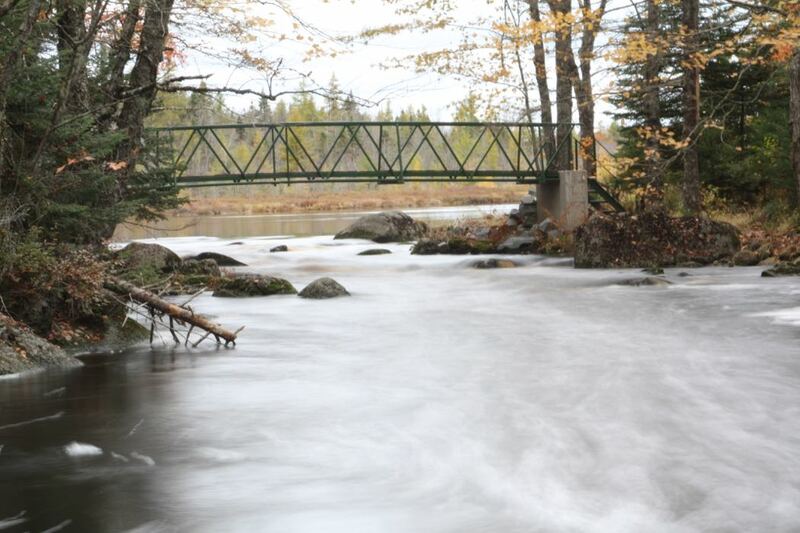 This luxury eco-lodge, which is a member of Small Luxury Hotels, is surrounded by a pine and spruce forest, secluded in nature and on the banks of the Tusket River right next to the Tobeatic Wilderness area. 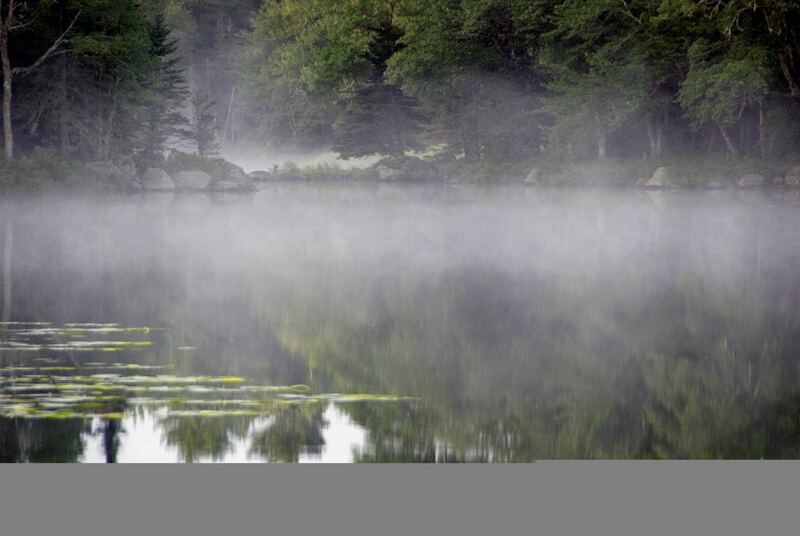 Here you might enjoy sightings of black bear, turtles, flying squirrels, grouse, deer, beaver, owls, loons, eagles and even moose. 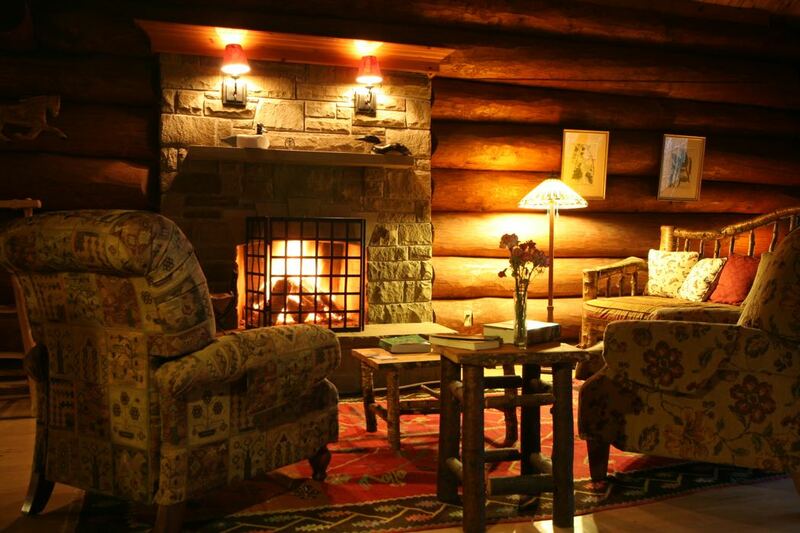 The Lodge and grounds occupy 100 acres and at night light pollution is minimal making stargazing sensational. The lodge has a star gazing platform where they organise special tours with an astronomer on staff and powerful telescopes. If you are there on a clear night the sky will be unforgettable. The main lodge is modelled on the Great Camps built along North America’s Atlantic coast by upper crust families in the late 19th century. 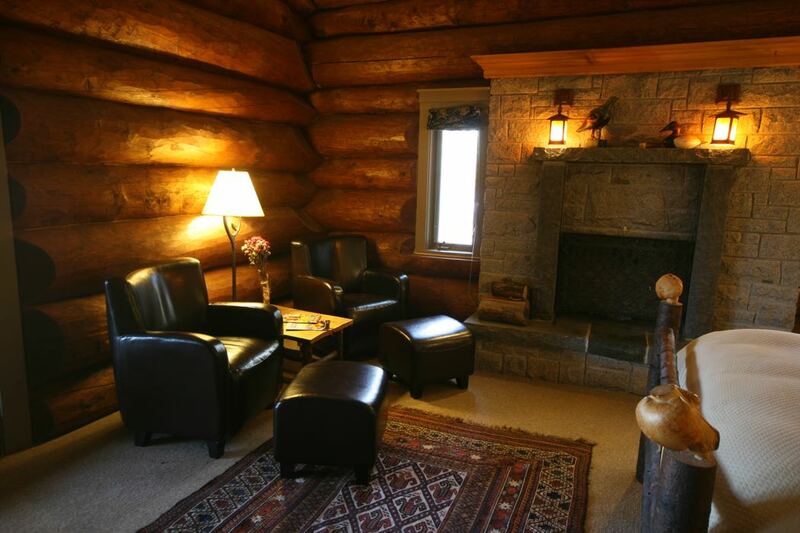 Huge logs of eastern spruce make up the main building, complemented by granite and sandstone. 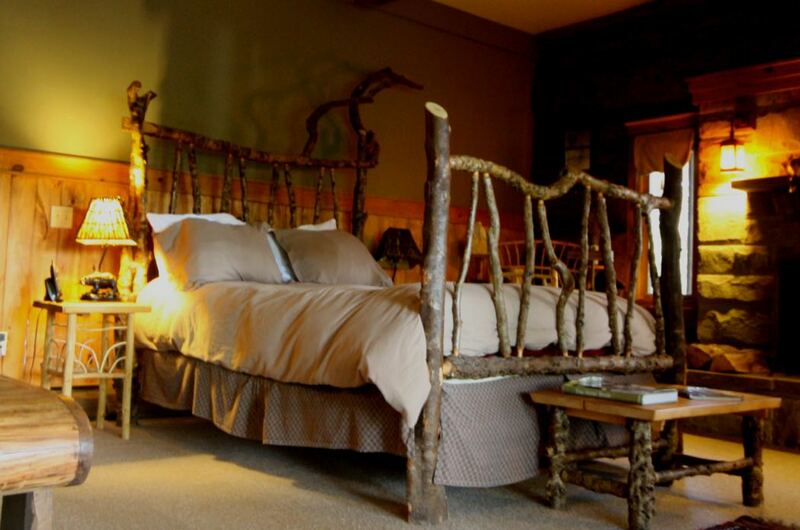 The public areas ooze understated luxury with furniture made from the saplings, burls and branches taken from the site when the lodge was built. Hand-cut stone fire places housing wood burning stoves are designed with eco-friendliness in mind and this beautiful building exudes warmth, hospitality and peace and quiet. 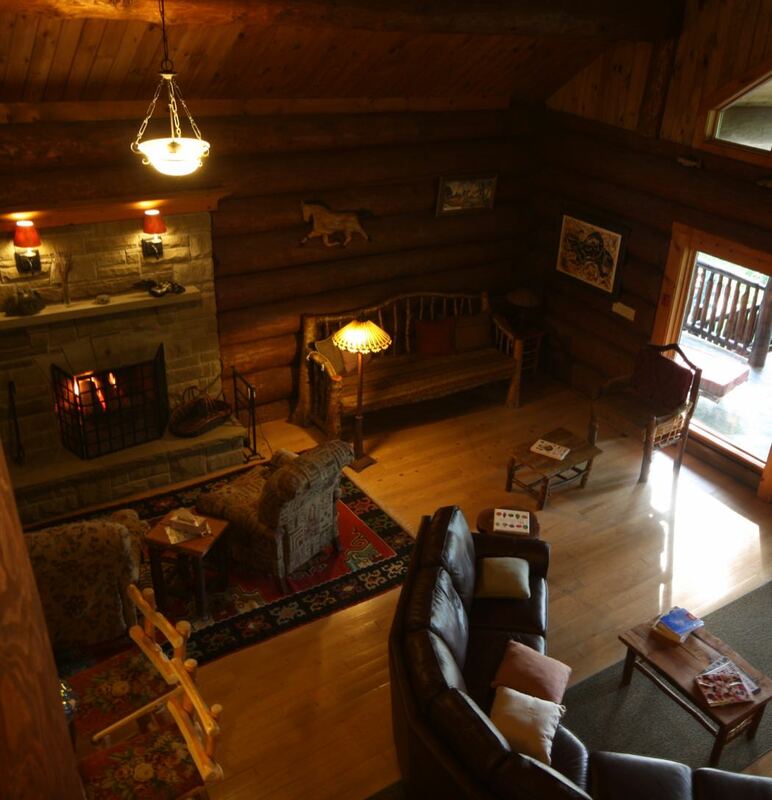 All twelve rooms incorporate handmade furniture, with beds made of logs and there are wood-burning fireplaces or stoves for warmth (and no televisions). 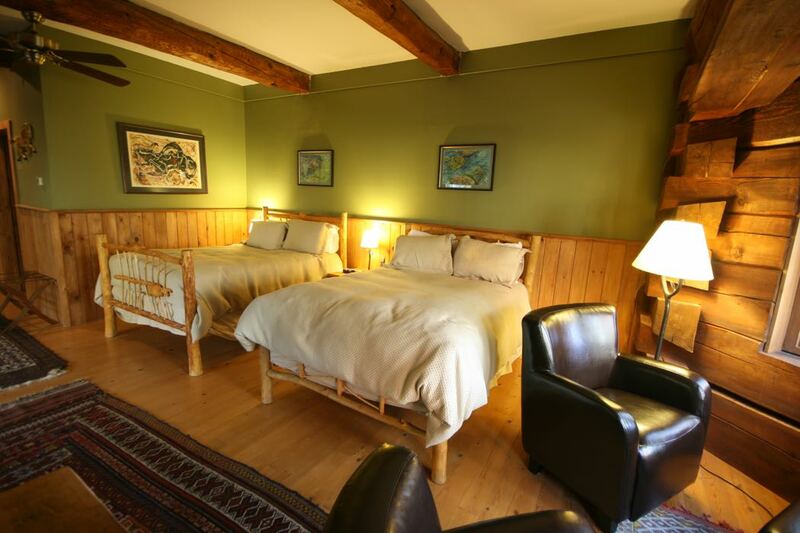 The rooms have a rustic feel with all the modern luxuries you would expect of a Small Luxury Hotel. The dinner setting is very cozy and romantic, serving delicate gourmet delights. Produce is sourced from the on-site garden and foraged from nearby woods. The dishes showcase local seafood, plants, mushrooms and herbs from the garden, as well as homemade cheeses and breads. The four-course fixed menu changes daily and highlights include oysters and trout paired with an extensive wine list. The fine dining at night is complemented by superb take-away gourmet sandwiches at lunch, and a full breakfast buffet plus a la carte items like hot eggs or pancakes. 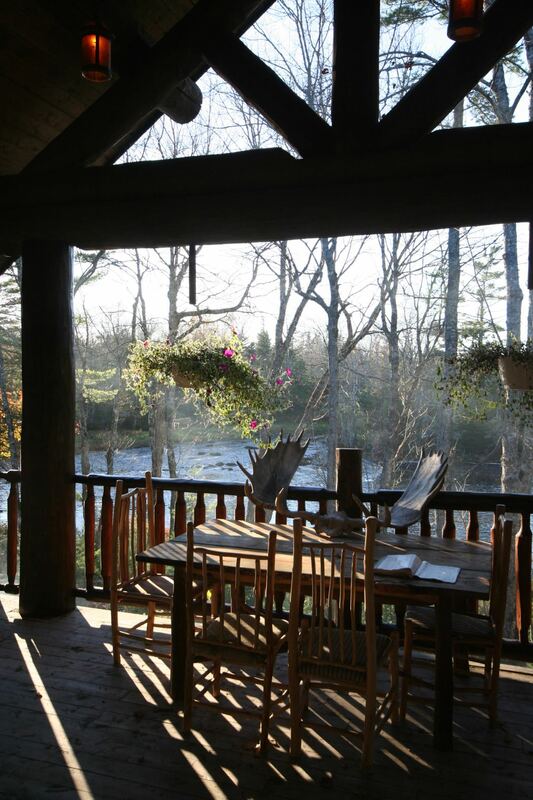 The lodge is located on the bank of two rivers, surrounded by beautiful forest and with walking paths and scenic boardwalks take you along the river banks. From here you can go canoeing, kayaking or swimming. The water here is still and perfect for kayaking, and warm enough for swimming (late May through to early September). 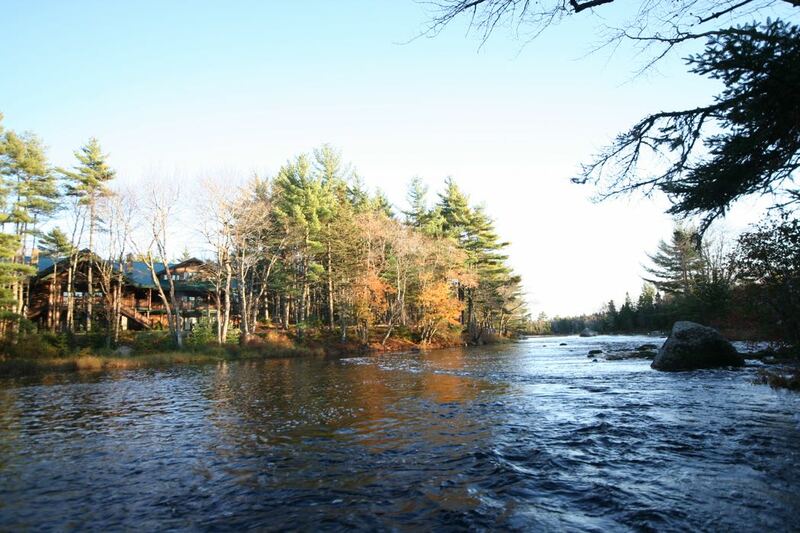 After a day of activities, you can relax in the riverside wood-fired hot tub and barrel sauna. 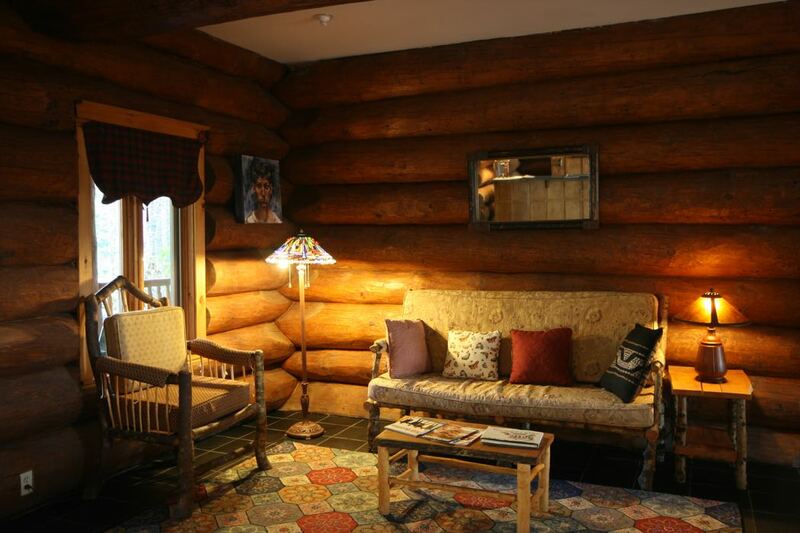 It takes time to get to this lodge, but it is definitely worth the trip. 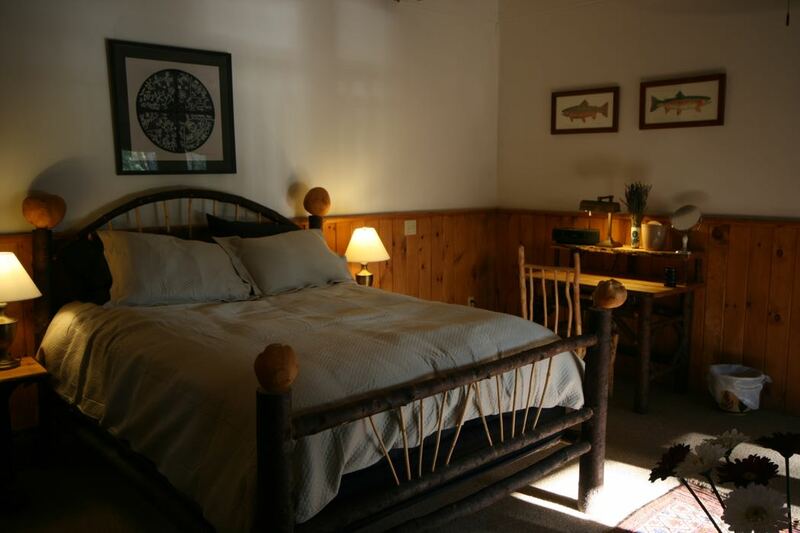 Trout Point Lodge offers luxury in wild surroundings. 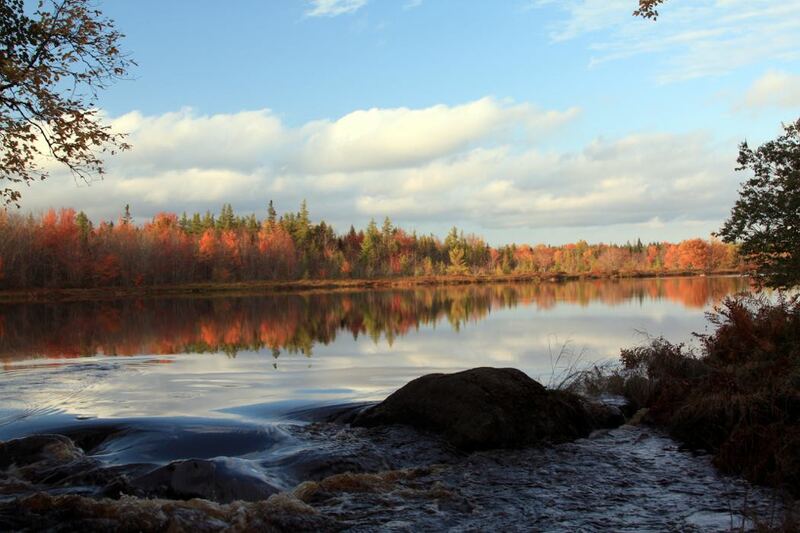 If you visit in the fall, the colour of the forest is glorious and experiences don’t get more romantic than star-gazing under a pristinely clear sky. Doubles at Trout Point Lodge start from £127 per night, room only.